Wayne State University Press, 9780814330548, 264pp. 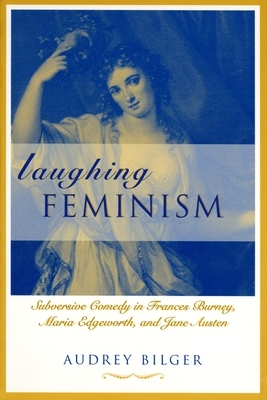 Laughing Feminism focuses on comedy in the works of Frances Burney, Maria Edgeworth, and Jane Austen, authors who scrutinized the subjected prejudices against women in order to expose their absurdity and encourage readers to laugh at the folly of sexist views. Audrey Bilger shows that these women writers employed a full arsenal of comic weapons such as satire, burlesque, and parody to combat patriarchal nonsense and make comedy out of the discrepancies between the myth and reality of womanhood. Bilger draws on current feminist criticism, comic theory, and the methodologies of literary history to provide a context for re-assessing the novels of these writers. At a time when overt feminist statements could ruin a woman's reputation, comedy enabled these authors to smuggle feminism into their writing. Audrey Bilger is an associate professor of literature at Claremont McKenna College.